Our collection is now richer by one more work. 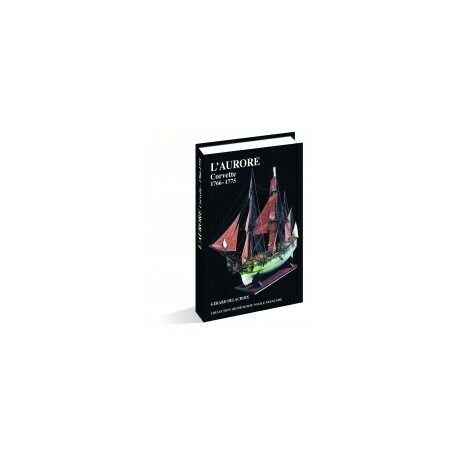 It happens that the title "L'Aurore" is already used for the monograph of a slave ship whose deceptive name ("The Dawn") masked her sinister activities. This other Aurore, that Gérard Delacroix was kind enough to call a" pleasure sloop-of-war", bears an appropriate name. The fact that it evokes daybreak is justified as it refers to the first successes in calculating longitude thanks to the use of clocks or time-keepers, as chronometers were originally called. Like its predecessors, this monograph comprises two inseparable aspects. 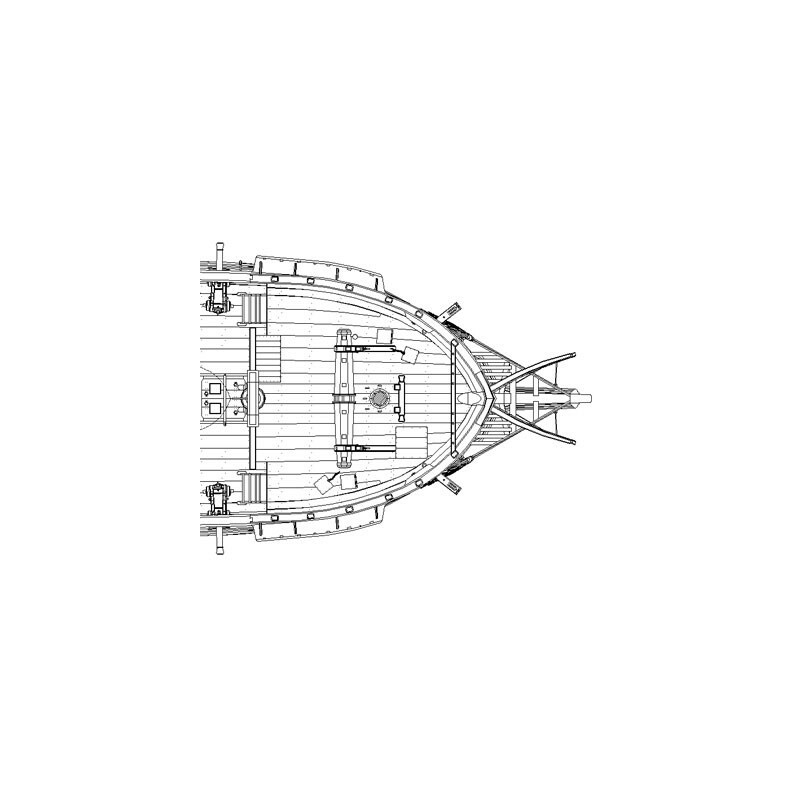 The first aspect, properly developed, presents the historical context of the ship which justifies and valorizes the second aspect, the ship itself, which is the subject of the monograph. With the building of a ship's model, the topic took on greater importance. The Aurore monograph provides us with an excellent historical case of how the marquis de Courtanvaux decided to prepare and finance a cruise so as to experiment with naval clocks intended to determine longitude. For that kind of cruise, a sloop-of-the-war was built in Le Havre on a private building site. After this presentation, Gérard Delacroix describes the 1767 voyage, including long excerpts from the book published in 1767, that gave a detailed account of that voyage. This historical context is completed by documents (manuscripts from the Bibliothèque Sainte-Geneviève), the importance of armament in 1767; and especially the detailed list of the sloop-of-the-war's contents when she was handed over to the King in 1769. The ship's model that was built just after the cruise is the main topic of the monograph. It is preserved in the Bibliothèque Sainte-Geneviève. The modest dimensions of the Aurore made it possible to use 1:12 scale for that model. The interest of this ship model is exceptional as a civil ship is very rare in our collections, especially at that time. The large scale allowed the smallest details to be shown, and the model is surprisingly realistic. The fact that this ship model was built by professionals who were on the voyage gives it an absolutely authentic value. However, one wishes that a few elements (such as boats and guns) would not have disappeared . Ship's model builders being practical-minded, they will certainly appreciate the numerous details and there is much to be learned from the abundant illustrations. This sloop-of-the-war was actually conceived as a small yacht. Its decoration is very stylish and even the accommodations were arranged in an originalfashion. The scientists were able to work in a very refined-even luxurious-setting. Nearly one hundred plates allow the viewer to judge the smallest details, such as the very well-made carved patterns. Gérard Delacroix's commentaries give the necessary explanations for the seventeen plates at 1:36 scale. 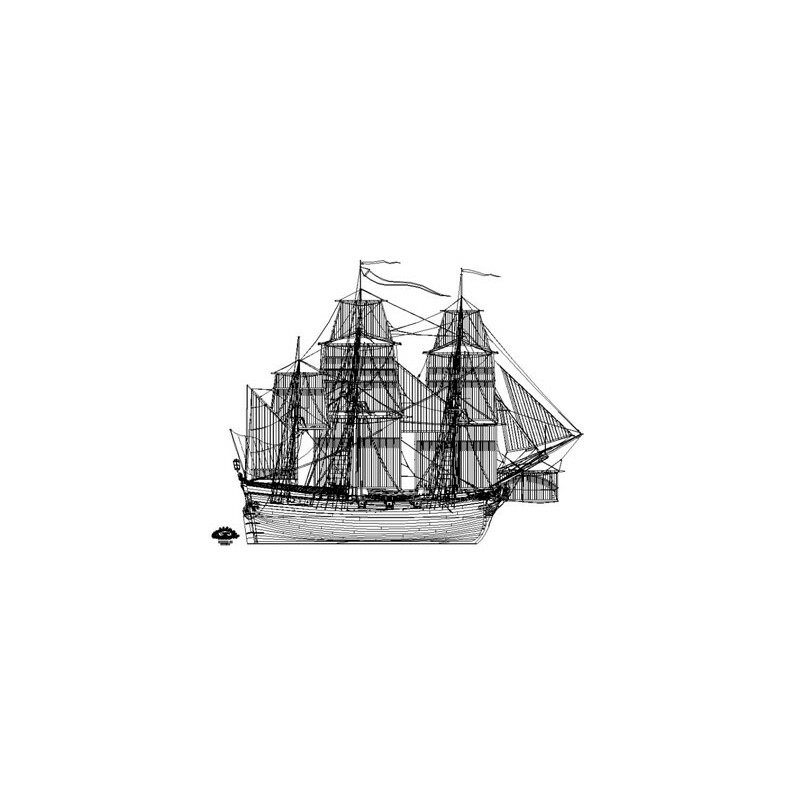 There is a detailed description of rigging, and various notes constituting the "building file" that will not disappoint amateurs nor the most demanding ship's model builders. (including 29 color photos, 16 plates at 1:36 scale and 1 plate at 1:48 scale). Description of rigging (13 pages devoted to the characteristics and the outline of all elements of fixed and running rigging). Detailed photos of rigging (37 photos with commentary). A total of 111 photos (29 color photos) and annotated documents.